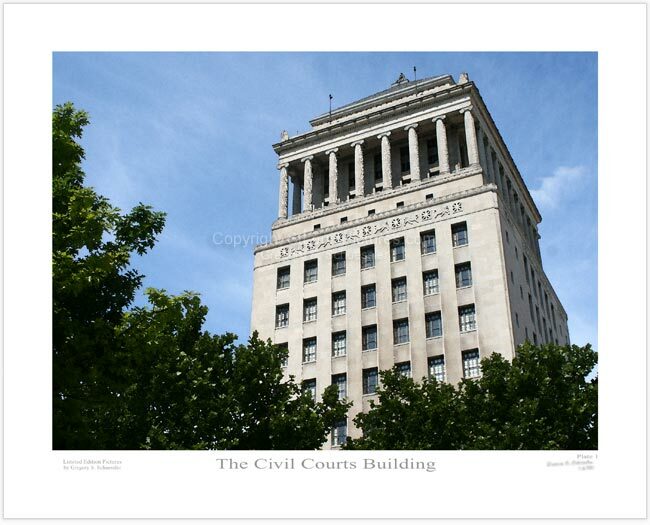 This picture displays the Civil Courts building in downtown St. Louis. The building is a replica of the tomb of King Mausolus built in 352 B.C. at Halicarnassus in Asia Minor. It has a step pyramid on top of a Greek Temple with a pair of griffins at the peak. It houses the law library atop the ten stories of courtrooms. The building combines elements of many divergent styles including Egyptian, Greek and Oriental.